Daystar prides themselves on providing suspension lifts that are engineered to give you the best performance, comfort, and longevity. 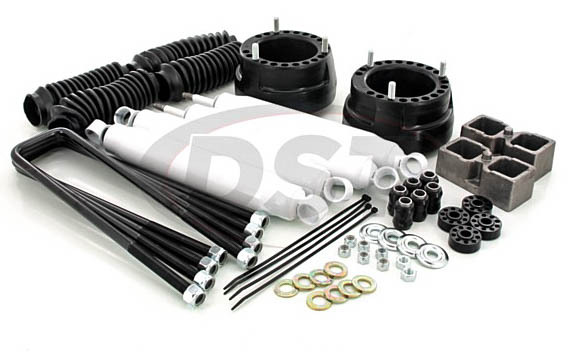 Whether you need leaf spring blocks for your 4x4 rock crawler, or coil spring spacers to jack up your pick-up, Daystar has a lift kit for you. The first modification that folks usually make to their pick-up or SUV is installing a lift kit. This gives your vehicle a taller look, more clearance underneath, and room in the wheel wells for bigger off-road tires. A suspension lift will give you all three of these out of the box, but will also raise your center of gravity which can cause more body roll when taking a sharp turn. A body lift won't give you more ground clearance but is a cheaper option for upgrading the size of your tires and gaining ride height. To customize your lift even further to balance cost and benefit you can stack a body lift with a suspension lift to give you comparable results to a more expensive full suspension lift at a fraction of the cost. Daystar's lift kits are designed to work with your stock suspension to increase ride height and ground clearance with minimal changes to suspension geometry. This keeps the cost down and your vehicle's handling closer to what it was before the lift. 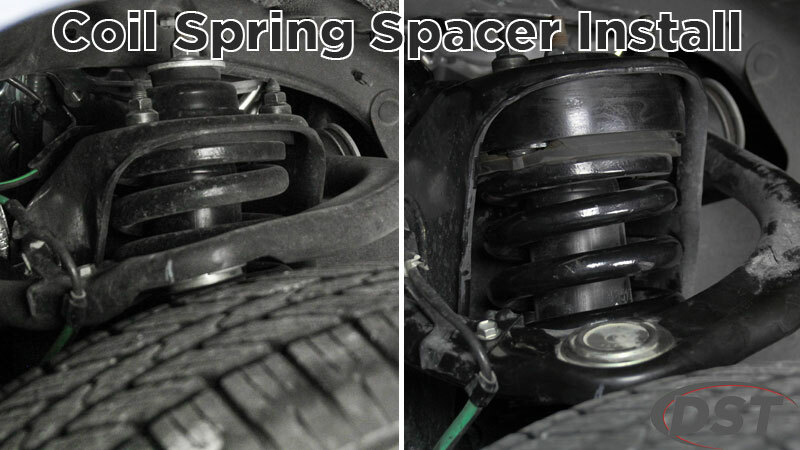 Some other suspension lifts are poorly designed and can put extra stress on suspension components such as ball joints or control arm bushings, which could cause them to wear out and need replacement prematurely. Daystar adopts a "lift as much as needed, but as little as possible" stance when it comes to lifting a vehicle, which maximizes benefits and minimizes drawbacks. These kits come with complete instructions and everything you need to accomplish the job in your own garage, making them a DIY friendly option that can keep overall costs down. They are also covered by Daystar's Go Everywhere Lifetime Warranty which means you can rest assured you're installing a quality lift that the manufacturer is standing behind.